Introducing Kworld Media Player M200, a multimedia player designed for home use that can support a wide variety of audio, video, music, test and subtitle file formats that can be played in your wide TV screen at Home. 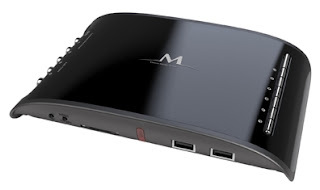 M200 Media Player is armed with connection port in Front Panel such as HDMI port, Coaxial and LAN port for Internet connection with plug in play power adapter. The Rear panel has the AVm YpbPR / HDMI LED Indicator, along with the Card Reader slot, Remote Sensor and two USB 2.0 ports that can be used to connect your external storage anytime. 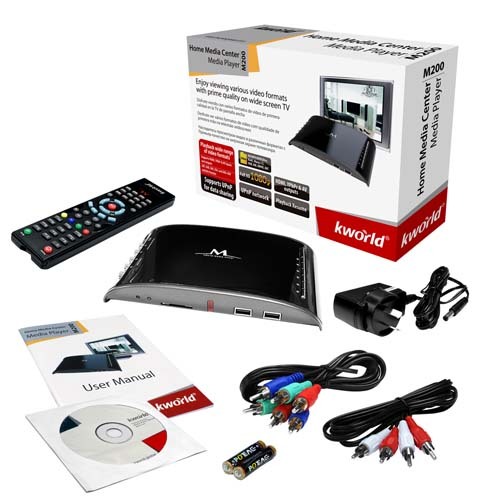 M200 Media Player can support up to 1080p HD with video formats such as RM,RMVB, MPEG, VOB, Dat, Divx, Xvid, MKV, MP4 AVI,MOV and SWF with UPnp network streaming. SRT, SUB, SMI and SSA are the supported subtitle formats. And also has a Playback Resume feature.